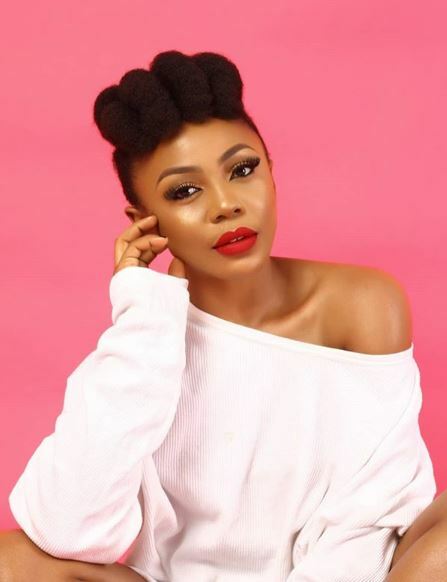 Former Big Brother Naija 2018 housemate, Ifu-Ennada is certainly not one to keep mum when trolls come for her on social media. 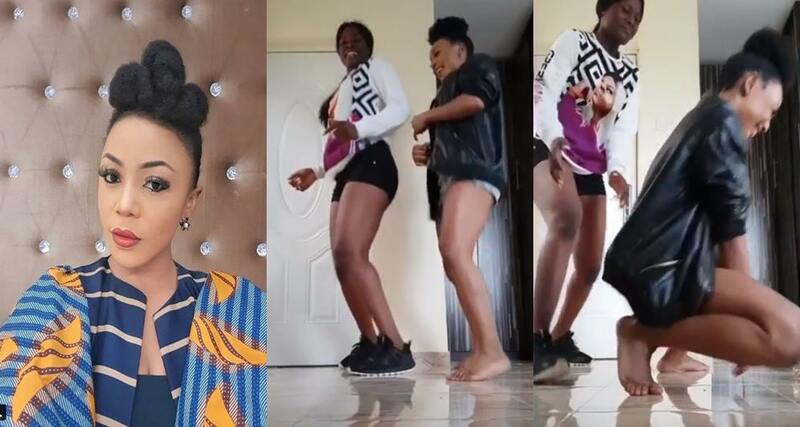 Few days ago, she shared a video of herself and co-housemate, Alex dancing in anticipation of the match between Nigeria and Argentina in the 2018 World Cup. A follower of hers commented referring to Alex as bad luck and warned Ifu to be wary of her. 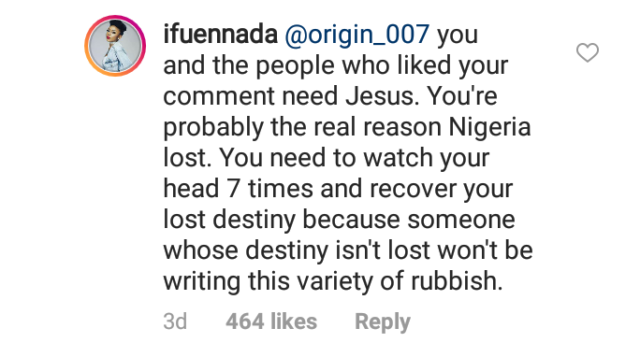 As expected, Ifu Ennada clapped back at the troll in full force.